What better sugar: cane or beet? Beetroot belongs to the crops unpretentious and does not impose specific requirements for climate and soil. But sometimes, root beet, grown with love and attention, are not only sweet, but also fibrous and woody. Why? 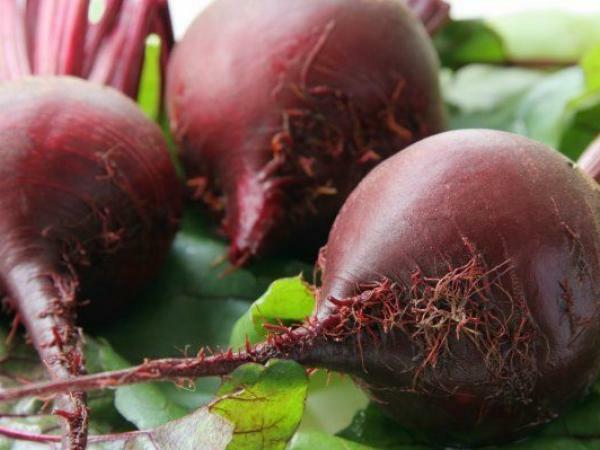 The main reason is the quality of seeds and agricultural cultivation of beets. One of the reasons - failure to observe the rules of cultivation of seeds of table beet. Many faced with such a situation, when thinning seedlings of red beet pulled completely colorless or whitish (fodder) root sprouts. This is an indication that the variety has degenerated. Another, very important reason - incorrectly organized farming. Neutral soils. On sour land to grow beet doesn't want fresh manure not stand. Place to have beds on the sun-warmed places. In the shadow of the roots will not grow sweet. Loose, rich humus soil. Grown in hard dry ground, the roots become bitter. Seeds produce high-quality sprouts only at positive temperatures. The crops in the cold ground provoke strelkovanie plants. Glaze the beets need at the beginning of development and during the growth of roots. In dry weather plants should be watered, then loosen the earth. Avoid wilting leaves. However, from the very frequent and heavy watering, the roots quickly gain weight. But the most tender and tasty root vegetables are medium size, plus they are more valuable and better kept in the winter. Tillage is an important time of growing. It provides access of air to the roots. If it is not possible to carry out the ripping, you can resort to mulching of planting dry grass, peat, Newspapers. Timely razresevanje germination. You can not grow root crops in close quarters. They will not tie. But too much distance between plants is not worth doing. Root vegetables are big in size, and will manifest excessive koltsevatost and fibration of pulp. Beets uses a lot of nutrients and are sensitive to their scarcity. Definitely a dressing should be boron (boric acid) and magnesium. Boron deficiency is expressed in medullary necrosis of leaves and unwanted changes in the roots. With a weak growth of the beet responds well to infusions of mullein and wood ash, which contains a lot of potassium and trace elements (0,5 l Bank in 1 sq. m.). Table salt, no additives, increases the sugar content of root crops. Diluted one teaspoon of salt in a bucket of water and pour 1 sq. m of landings. To make better in the grooves, having receded from the plants for 4...5 cm, so as not to burn the roots. Saline solution bring to moist soil or after rain. Every year it is necessary to sow beets, changing her location on the beds. Even in a small area it can be grown in mixed plantings at the edges of garden beds. Chard and spinach are relatives of the beet, it is necessary to take into account not to plant beets after them. The best quality roots give these time-tested varieties as: Pablo F1 F1 borough, Mona, Cylinder, rocket.